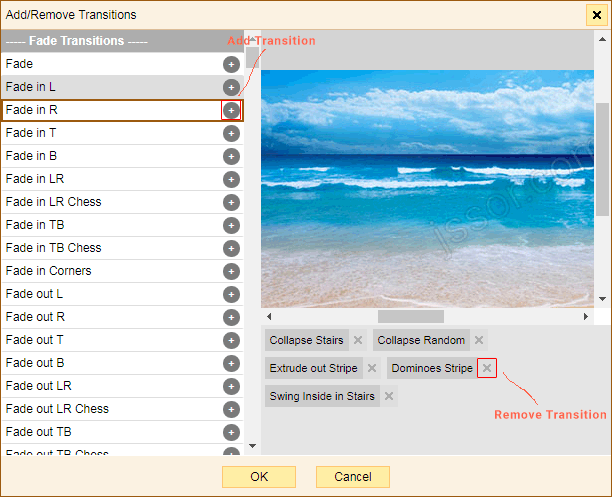 Set Play Transition property to either Random or In Order. Click the '+' button to open slideshow transitions window. Note that slideshow will play only when Auto Play is enabled. In the slideshow transitions window, select transition to preview, click add button to add transition, click remove button to remove transition.